A prominent local social housing organisation is seeking to expand their stock of dwellings by redeveloping on a number of underused garages / parking lots. The local highway authority is concerned that the resulting loss of existing off-street parking may lead to an unmanageable increase in demand for on-street parking. To answer this question Helix were commissioned to survey the level of current site use, and assess the availability of existing parking nearby. This business is looking to improve access and separate their existing equestrian and wild camping operations, by building a new junction. However, these plans were nearly thwarted by an inability to achieve the default junction visibility. Helix carried out a survey which showed that speeds are significantly lower than the limit allows; and that junction visibility, based on stopping distances at the measured speed, could be achieved, within land the applicant controls, with a slight redesign. This popular care home suffers from oversubscription. The site owners want to increase the number of rooms on offer, but the concern was raised over the suitability of the access arrangement to accommodate additional trips. Helix prepared a series of measures to rationalise the access and improve junction visibility. As a result, the highway authority dropped their objection, and the development was approved. Eastington Parish Council commissioned Helix to appraise the transport infrastructure within the parish. This piece of work forms part of wider considerations going into the Neighbourhood Development Plan. The report provides an overview of the existing transport infrastructure, before going on to recommend strategic improvements. These improvements seek to address the local parishioners concerns over traffic speeds, volumes and safety while developing a transport network that balances the needs of all road users. Our client, a local farmer, wishes to gift his community a much needed public car park, swimming pool, allotments, and open space. The application also includes a number of residential dwellings; the proceeds from which will be used to fund the rest of the scheme. 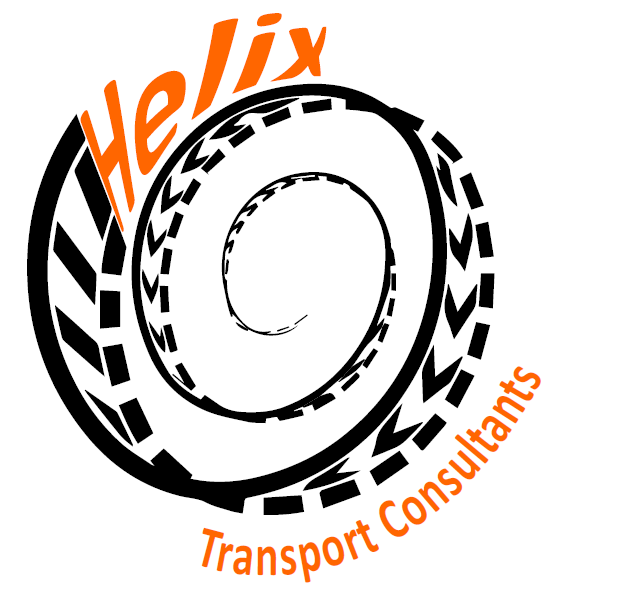 Helix are commissioned to prepare a Transport Statement supporting the development proposals. Maisemore Apiaries is involved with the management of bee hives; the processing of wax and honey; the manufacture of hives; and the sale of hives and associated bee keeping paraphernalia. The success of this business has meant that they have outgrown their existing buildings and must rely on off-site storage facilities. The need for regular vehicle trips between the main site and off-site storage is inefficient and adds unnecessary vehicle trips to the network. Helix have prepared a Transport Statement (TS) supporting an expansion at Maisemore Apiaries and demonstrating how these proposals will result in a net reduction in vehicle movements. The TS also includes a series of measures to minimise the impacts and assist in the long term sustainability of the business. Walkley Lane is a narrow single track lane that already serves a number of dwellings. At appeal, the planning inspector decided that the highway safety implications of traffic from one additional dwelling would be unacceptable. Helix has addressed the highway safety issue, by proposing new turning and passing opportunities within a more formalised shared surface type arrangement, in keeping with the Home Zone philosophy. A Place to Grow is a popular education club for home schoolers. They have sought to improve their access arrangement off Folly Lane in Stroud but what has been done has raised some highway safety concern. Helix have assisted by providing traffic volume and speed data. The addition of one dwelling off an existing access would not usually solicit an objection on highway safety grounds. However, access to both these sites is highly unusual. Elmwood House came with a history of planning objection on highway safety grounds. Forge Lane came with an indication from the planning authority that the application would be refused on highway safety grounds. Helix presented evidence which resolved the highway safety concerns and both schemes were approved. The 5th Dimension fitness club has outgrown its existing premises at Ebley Mill and has identified the underutilised Q Park employment site in Woodchester as an ideal relocation site. Helix were able to demonstrate that the traffic and transportation implications of the proposed relocation would not result in a material change to the current permitted use at Q Park. As a result, the highway authority did not object and the application was consented. Our client recently purchased a house with an unused, second, access point. It was only when he reopened it that he found out (via a threatened enforcement action) its closure was the subject of a planning condition agreed by the previous owner. The issue related to limited junction visibility which gave rise to a perceived highway safety concern. Helix showed that the access had no accident history and that with some minor works the visibility could be greatly improved. As a result the proposed variation to the planning condition was accepted and our client can now continue to use this access. The local planning authority were concerned by the implications for on-street parking when our client applied to redevelop an empty retail property into a multiple occupancy dwelling. Helix carried out a survey of on-street parking and profiled residential parking demand to demonstrate that parking would be available when needed. To help inform the planning decision further, Helix also included a comparison between the proposed and consented use. This demonstrated how the proposed development would actually reduce the demand for on-street parking when compared with reinstating the current lawful use. The viability of this development proposal was threatened when it was realised that the default visibility splay encroached on third party land. Helix were able to demonstrate, by means of a speed survey, that the visibility available within public highway was adequate for the prevailing traffic speeds. Our client, a local land owner, was very concerned about the introduction of a new kerb build-out traffic calming feature. In a short period of time following its introduction, there were several collisions and much more near misses. Helix was commissioned to carry out a design critique and propose improvements to the local highway authority. This site, which featured on the first series of the BBC’s Permission Impossible, involves the use of an existing agricultural site as a builders yard. The issues related to visibility at the site access. By carrying out a speed survey and stopping distance calculation Helix were able to satisfy the highway authority that the proposed access would meet the relevant design standards. The Christian Community in Stroud has outgrown its current premises. This ambitious project will see the existing buildings redeveloped to twice their current floor area. The extra space will house a larger chapel, more community rooms and ancillary accommodation. Helix were able to satisfy the local planning and highway authority that the implications for traffic, transportation and on-street parking were minimal. Submission Documents included: Transport Assessment, Interim Travel Plan, and Environmental Statement. 1,340 new homes, including affordable housing. 20,000 sqm of mixed-use commercial development, including new retail and offices. The inclusion of a site for a new 1,200-seat theatre with ancillary café. The inclusion of sites for warden-assisted elderly accommodation, a GP surgery, a primary school and a hotel. 45 acres of open space, including a public park alongside the River Pinn, part of which is in the Green Belt. Extensive landscaping, comprising both informal and formal spaces and children’s play areas.